It is possible for both males and females of all ages to experience urinary incontinence, but it is especially prevalent among seniors. According to the National Association for Continence, around half of homebound seniors have incontinence, and it is one of the 10 most leading conditions diagnosed among homebound older adults. Indeed,  it is one of the common health issues associated with ageing. Sometimes, the exact cause of urinary incontinence cannot be diagnosed. In such situations, making slight changes to a senior's diet may help reduce some of the symptoms. Though certain foods may cause urinary incontinence for some seniors but not other, Fort Myer home care professionals share eight common foods that are sure to lead to urinary incontinence. While spices are great for health, highly spicy foods can irritate the bladder lining. It is a smart strategy to avoid Mexican, Chinese, and Indian cuisine in regards to managing UI symptoms. Eliminate chili pepper, curry, and horseradish from your loved one’s meals. Excess consumption of raw onions can also irritate the bladder. Foods with high citrus content like tomatoes, grapefruit, lemons, oranges, and limes, can flare up UI symptoms. If taken in high amounts, vinegar can also irritate the bladder and worsens urinary incontinence. Encourage your loved one to indulge in fruits with lower acidity levels like blueberries and pears. While drinking plenty of water throughout the day is essential, excessive fluids can cause difficulties for those with urinary incontinence. Instead of consuming 64 ounces of water, seniors with UI can go with 32 ounce of fluids a day. While cranberry juice can help lower urinary tract infections, it can also contribute to incontinence. Seniors with UI should limit the intake of cranberry juice. Caffeine can double the trouble, as it can stimulate the bladder as well as act as a diuretic. Urologists suggest seniors with UI to solely eliminate caffeine from their diet. According to a research, eliminating even one cup of coffee a day can help in controlling urge incontinence symptoms. The carbon dioxide in fizzy beverages like seltzer and soda can aggravate the bladder. Seniors with UI should also avoid eating foods with artificial colorings and chemicals. Instead, opt for a plant-based, clean diet. Foods high in sugar and artificial sweeteners can exacerbate the symptoms of UI. Seniors should avoid foods with added honey and those containing fructose and corn syrup. Artificial sweeteners are also known to be an antidote for weight loss. Adding saccharin and aspartame to drinks can irritate the bladder and worsen the incontinence. Foods high in sodium can cause the body to retain water, eventually releasing to the bladder. Snacks high in salt like salted nuts and potato chips are sodium-packed foods, just like canned soups, that can make your loved one thirstier, causing your loved one to consume more liquids. Alcohol has been said to be one of the leading causes of urinary Incontinence as it reduces bladder control and hinders neurological messages sent to the brain for when to hold or release urine, which makes accidents more likely. Alcohol is also a diuretic, so it causes more and frequent production of urine. Eating a balanced, healthy diet for seniors can help older adults decrease the risk for UI and maintain a healthy weight. Encourage your aging loved one to go all-natural. This will not only optimize the intake of vitamins, nutrients, and mineral, but also reduce the amount of substances that could potentially irritate your loved one’s bladder. By understanding what your loved one should and shouldn’t eat can help in naturally controlling and treating urinary incontinence symptoms to avoid accidents and other situations causing discomfort. If your loved one needs additional assistance for managing daily chores, you can consider hiring professional home care. 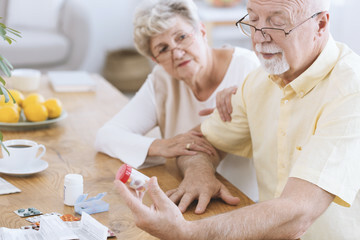 Fort Myers families should opt for a reputable senior care provider in their area to allow their loved ones get assisted without leaving the comfort of home.